The Icom IC-R8600-02 wideband communications receiver raises the bar on sophisticated radio monitoring. This ground breaking receiver made its world debut at the Tokyo Ham Fair on August 19, 2016. The IC-R8600 covers 10 kHz to 3000 MHz (less cellular) in AM, USB, LSB, CW, FM and decodes multiple digital protocols, including Baudot RTTY, D-STAR™, NXDN™, dPMR™, DCR (Digital Communication Radio) and APCO P25. It has a large 4.3 inch color TFT touch screen display with fast spectrum scope and waterfall display. The advance circuit employs modern FPGA/DSP base SDR architecture (under 30 MHz) and traditional superheterodyne circuitry. Superb receive performance is achieved by 11 discrete RF bandpass filters in the HF bands and 13 bandpass filters in the VHF/UHF bands. To prevent overflow, only the intended signal is passed, while any out of range strong interference signals are rejected. The IC-R8600 provides +30 dBm IP3 and 105 dB dynamic range at 14.1 MHz. IP3 performance is +10 dBm at 144 MHz and 0 dBm at 440 MHz. The commercial meter shows S-meter, dBµ, dBµ (emf) and dBm meter types in the RSSI (Received Signal Strength Indicator). The dBµ, dBµ (emf) and dBm meter has a high ±3 dB accuracy between 0.5–1100 MHz (<±6 dB between 1100–3000 MHz) that can be used for measuring signal strength level. 2000 memories (in 100 groups) are available storing frequency, mode, tone, step, etc. Optional RS-R8600 PC remote control software allows control of all receiver functions. There is a convenient SD card slot for the received log, decode log and voice recording. Other refinements include: Sleep timer function (5 to 120 minutes in 5 minute steps), Attenuator, Center tune indicator (FM/WFM/each digital mode), Digital AFC, Tone control (HPF/LPF, BASS/TREBLE, De-Emphasis), Noise Blanker, Speech function (Japanese/English), Dial tension adjust, Auto TS function, Main dial & panel lock functions, S-AM (AM synchronous detection mode) and Multiple digital squelch settings. The rear panel features: 10.7 MHz IF Output, LAN Port, Mute Line, Reference I/O, I/Q output, External speaker jack, AF/IF output, CI-V remote terminal, USB port, DC power Input jack, S meter output jack, Aux., three antenna jacks (N/SO239/RCA) and ground terminal. The I/Q signal output supports use with third-party SDR software and/or external decoding. This radio comes with: fused DC power cord (9.8 feet), spare fuse, DC power short connector, three 3.5mm audio plugs, two RCA plugs, spare blade fuse (3Amp/32V), two spare glass fuses (3A/125V). The IC-R8600 is a 12 VDC device and requires a power supply for AC use. 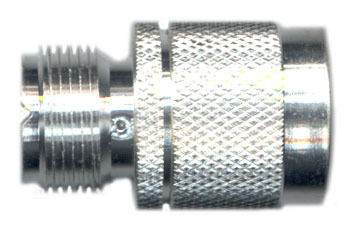 Be sure to insert the supplied "short connector" into the radio's rear panel if using Icom's AD-55NS or SP-39AD. Do not accidentally try to insert a PL-259 connector into "Antenna Jack 1". (This is an "N" jack). See item #3076. The Icom IC-R8600-04 GOVT unblocked version can be purchased by the Federal government or for export only. This special order government version is not available via on-line ordering. All stated features, appearances, screen shots and specifications may be subject to change without notice. 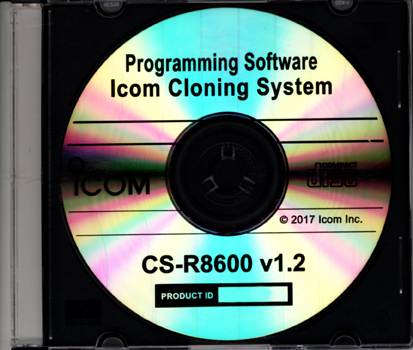 Icom, Icom Inc. and the Icom logo are registered trademarks of Icom Incorporated (Japan) in Japan, the United States, the United Kingdom, Germany, France, Spain, Russia, Australia, New Zealand and/or other countries. NXDN™ is a trademark of Icom Incorporated and JVC KENWOOD Corporation. dPMR and the dPMR logo are trademarks of the dPMR MoU Association.